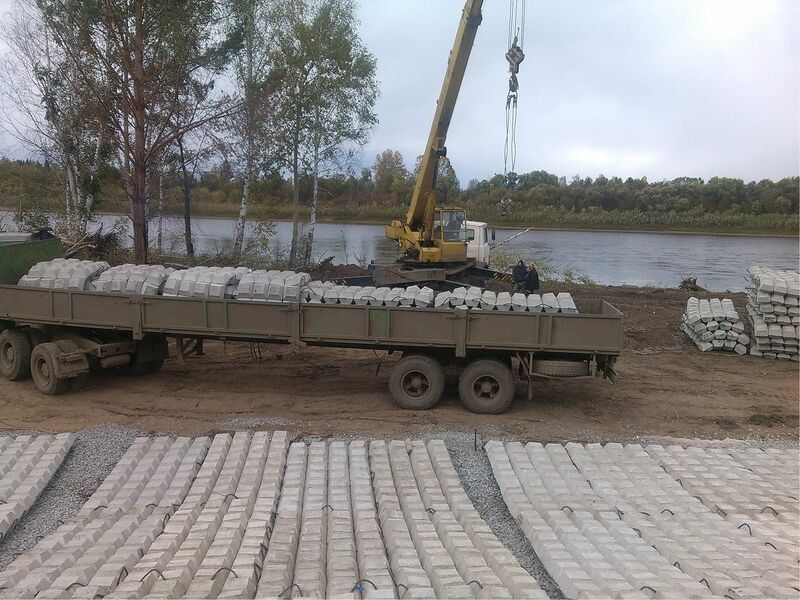 The necessary amount of UFPCM is delivered to the piling place with the use of motor transport. 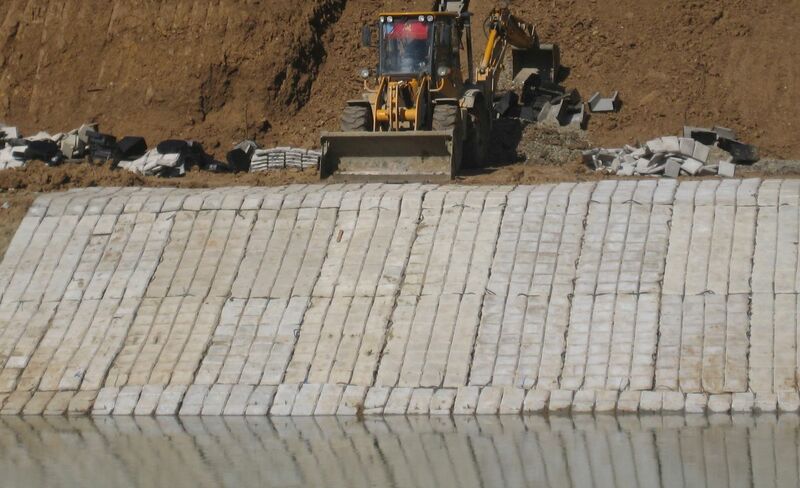 With building equipment the coastline of reservoir is formed. 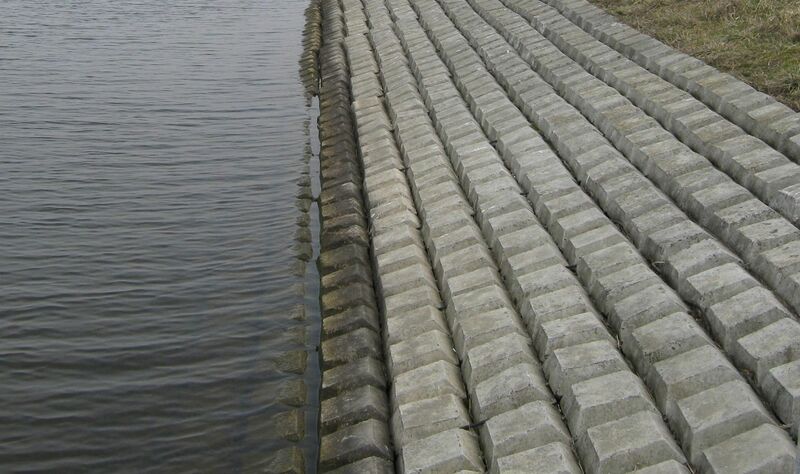 Planning of coastline mostly has decorative character, because UFPCM can be laid on the unprepared coastline. 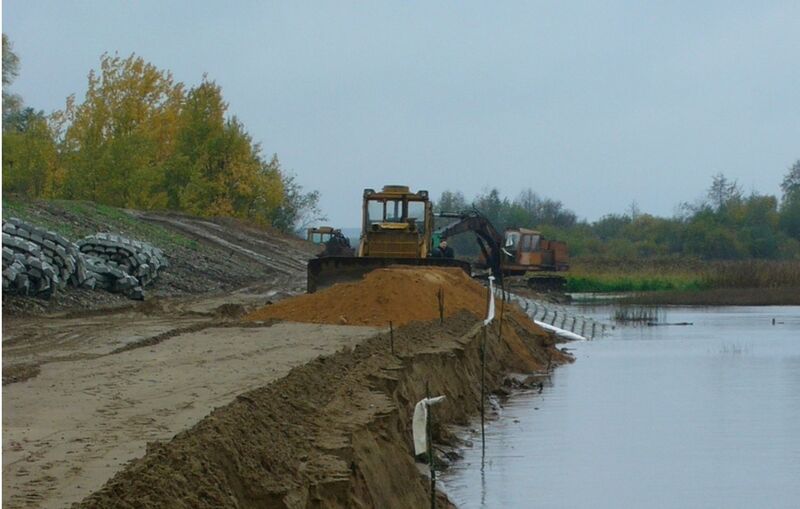 On the slopes formed from the unbound soils and connected to water or subterranean waters, soil washout prevention from beneath UFPCM it is required to lay dorn or needle-punched geo-textile linen. 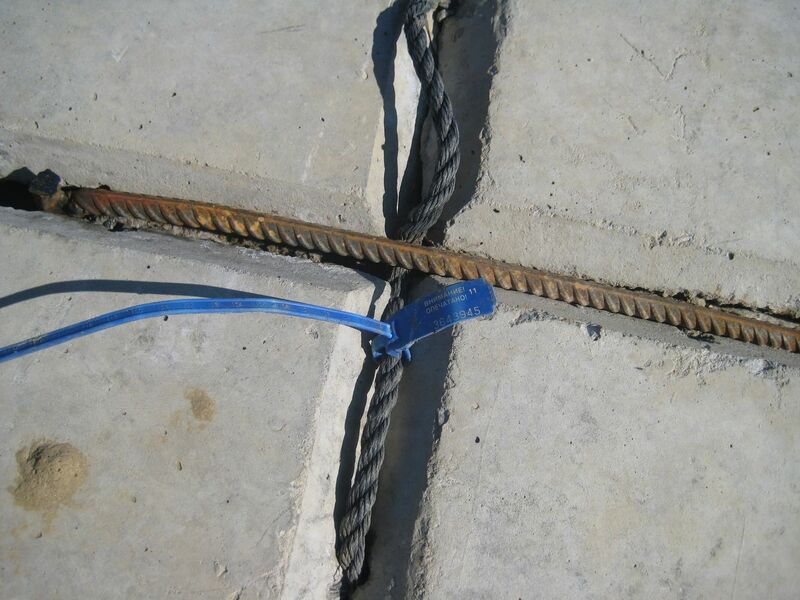 For prevention of UFPCM offset relative to each other, the special clips (anchor) are used for mates fastening, which construction is stated in p 3.6 of this Application. 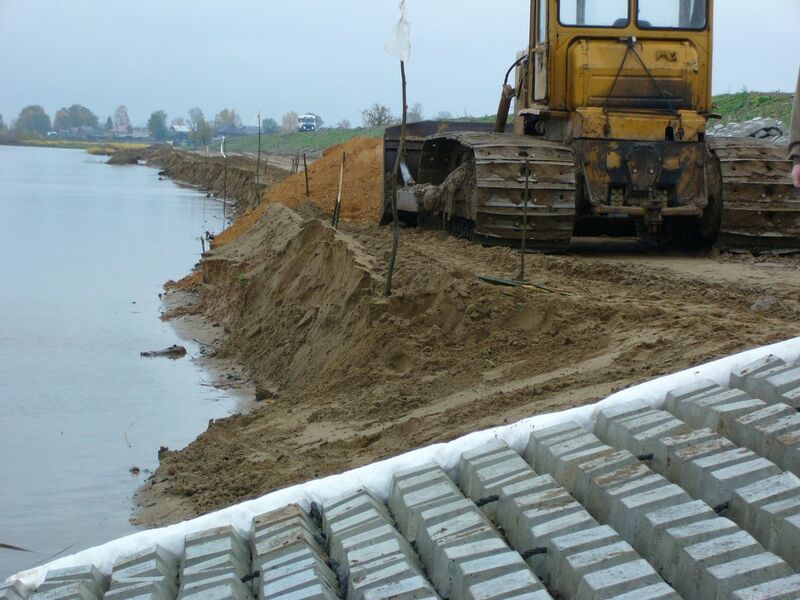 The piling team with the required lifting equipment is capable of laying more than 100 UFPCM pieces in a shift.